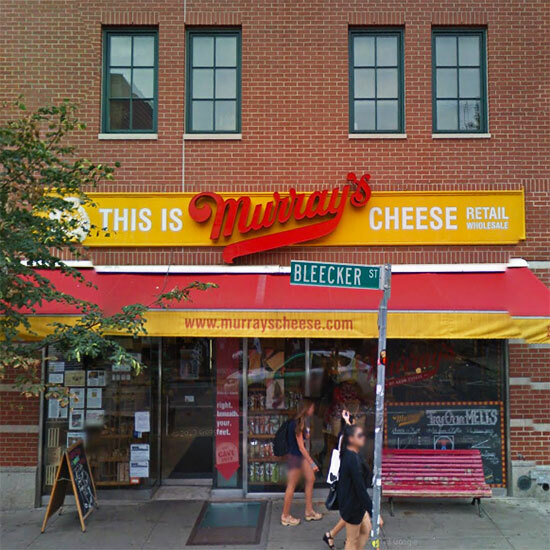 In 1993, Rob Kaufelt bought famed New York City cheese shop Murray’s Cheese and then parlayed the brand into a $250 million a year juggernaut by bringing hundreds of Murray’s Cheese kiosks to grocery stores across the country. But last week, Kaufelt was working on another kind of deal – selling the commercial space that’s home to his Murray’s Cheese flagship store to none other than grocery store giant Kroger. On Friday, New York real estate site The Real Deal reported that three adjacent “retail condominium units” in Manhattan’s Greenwich Village had been sold from Kaufelt to the Kroger Company for $20.6 million. Interestingly, the units in the deal happened to include the current home of Murray’s Cheese’s flagship outpost. The move doesn’t mean that Kroger has “bought out” Murray’s Cheese; the Cincinnati-based grocery chain simply now owns the real estate the store is located in. However, the move is intriguing for a couple of reasons: First, Kroger and Kaufelt already have a strong, preexisting partnership: The cheese mogul runs his kiosks in 350 Kroger stores across the US. And second, though Kroger operates over 2,700 stores nationwide, the brand currently doesn’t have any locations in New York City. For now, reading anything into this move besides it being a simple real estate transaction is pure speculation. According to The Real Deal, the publication reached out to both parties for comment, but didn’t receive any responses. But whatever Kaufelt’s reasoning, it would seem something might be afoot, because for the past 24 years, he’s certainly been good at making that cheddar.